Cabinet Construction — Radford Cabinets, Inc.
European style construction is also known as frameless, or full overlay. European style cabinets typically come with Full Overlay doors with Face Frame style typically coming with 1/2" overlay, however, there are several ways to hang doors, as illustrated above. 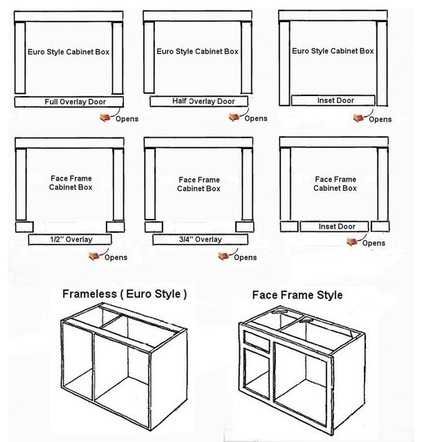 Typical construction of Face Frame cabinets.